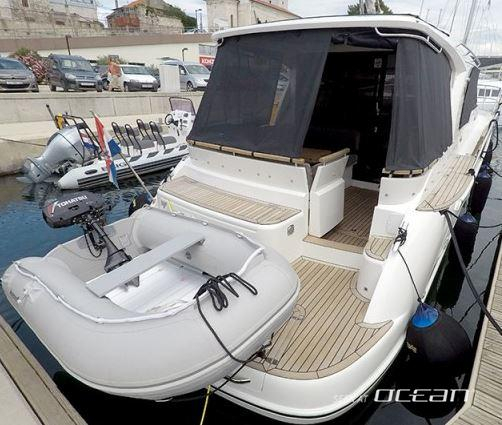 We are glad to add a new motor yacht for charter in Croatia: the new Marex 375. 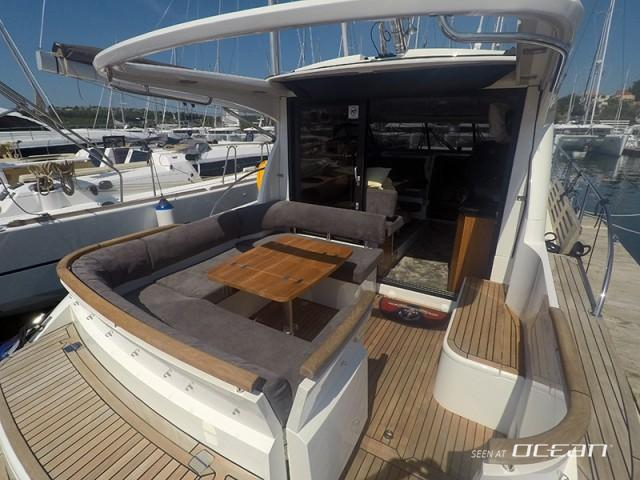 Based on the same design approach like award-winning Marex 370 ACC the Marex 375 for rent features the same key characteristics being one of the most interesting small aft-cabin yachts for bareboat charter in Croatia at all. 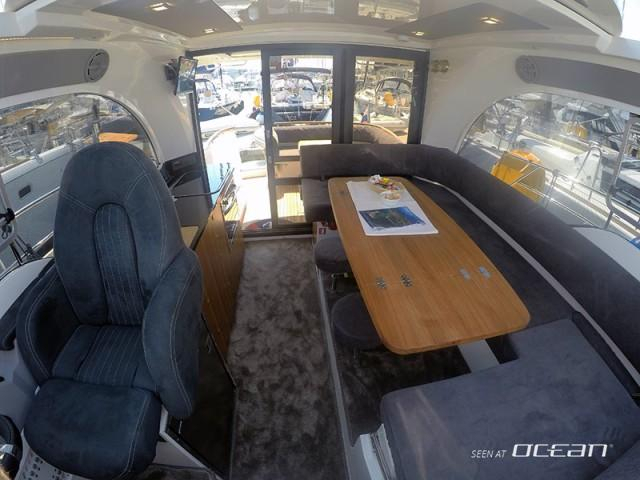 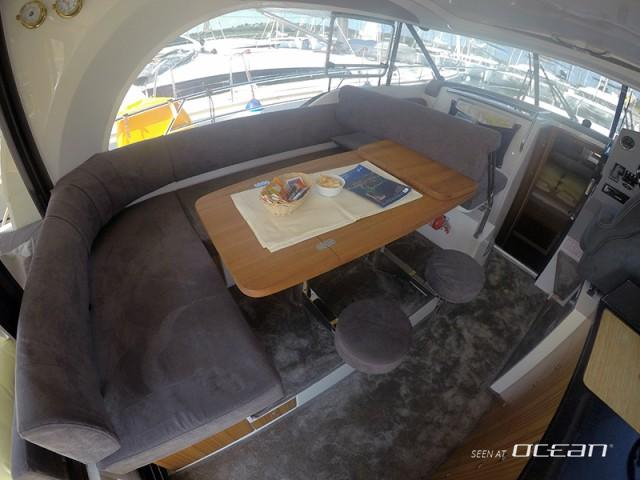 Marex 375 offers two large seating areas inside the boat and features a convertible double function passenger seat and remarkable headroom for a yacht of this size. 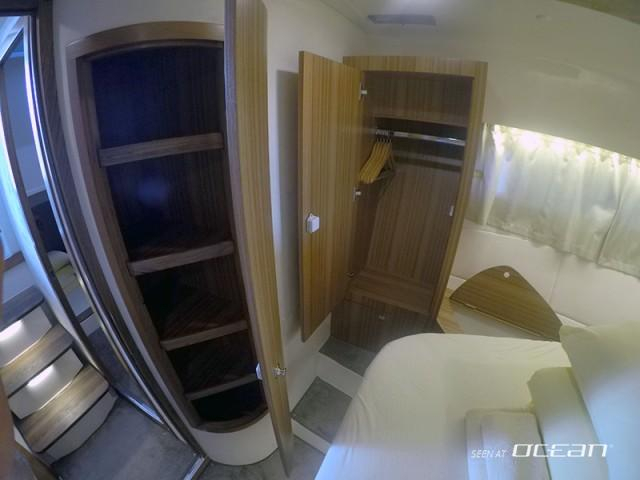 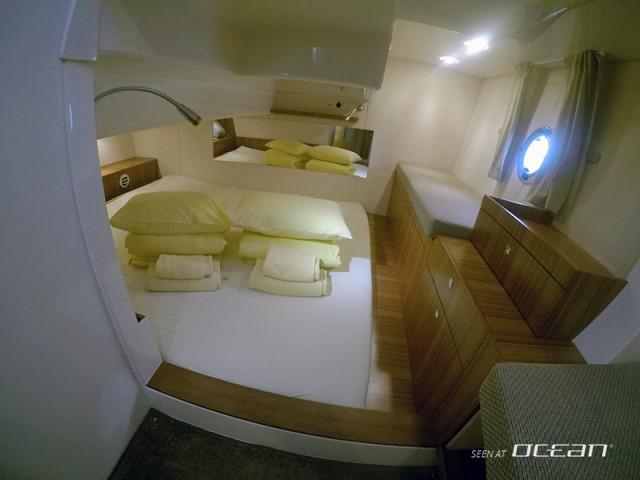 Inside the mid-cabin comes with lots of lockers and storage and with a second cabin the Marex 375 is a perfect boat for a small family seeking a favorable motor boat for rent in Croatia. 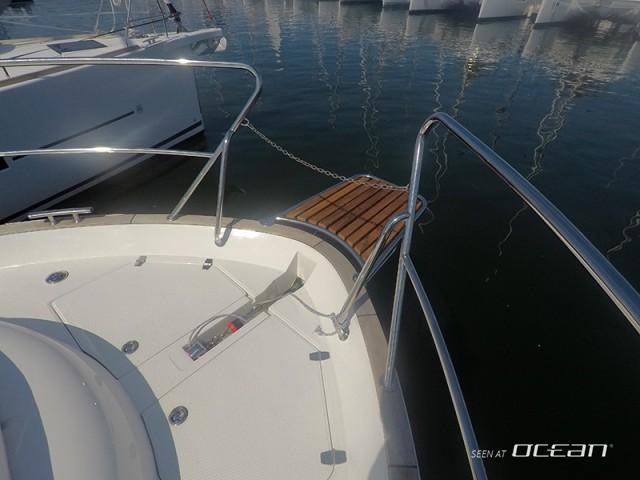 The focus on intelligent space management can also be seen outside where the practical fender locker can be found hiding also the mooring lines. 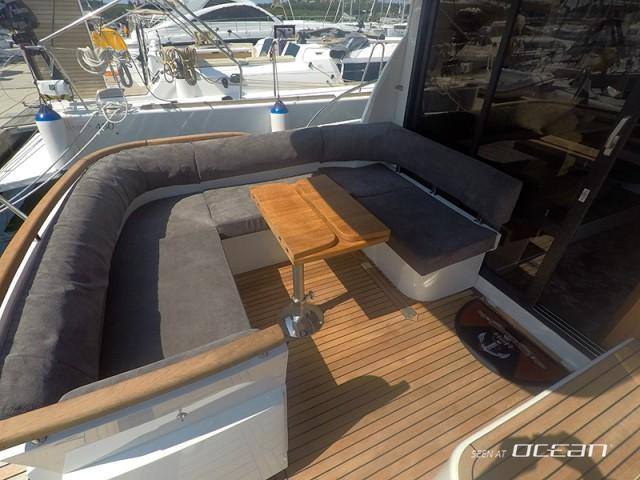 Reasonable wide side decks with handrails ensure safe walkarounds from bow to aft-cockipit and in general, the Marex 375 represents a practical and ergonomic small yacht. 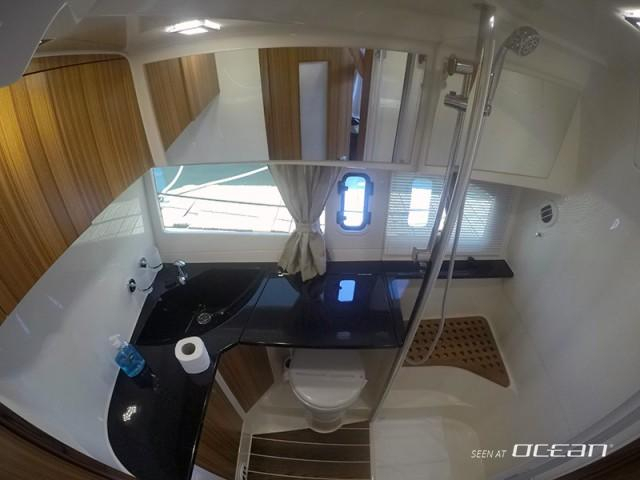 Marex 375 for charter in Croatia offers seaworthiness and reasonable performance thanks to the top motorization and a pair of 300hp Volvo engines. 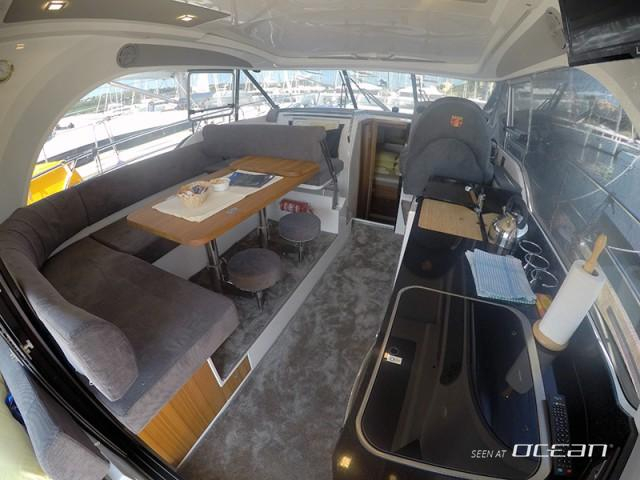 Charter Marex 375 in Croatia during summer and benefit of the sliding sunroof or rent Marex 375 in spring and autumn closing the cockpit completely off with the canopy hidden in the vertical side lockers. 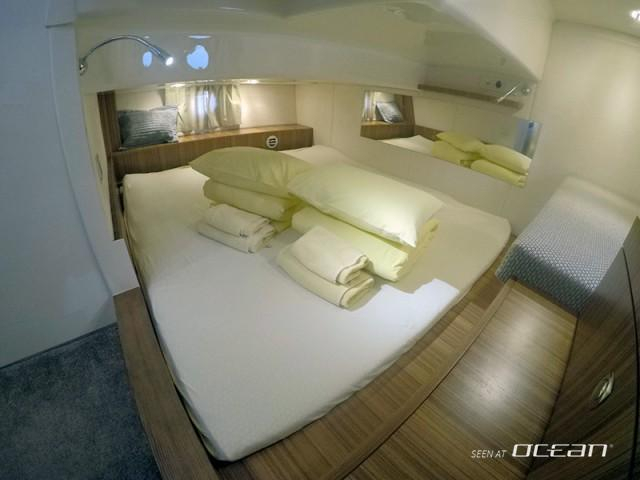 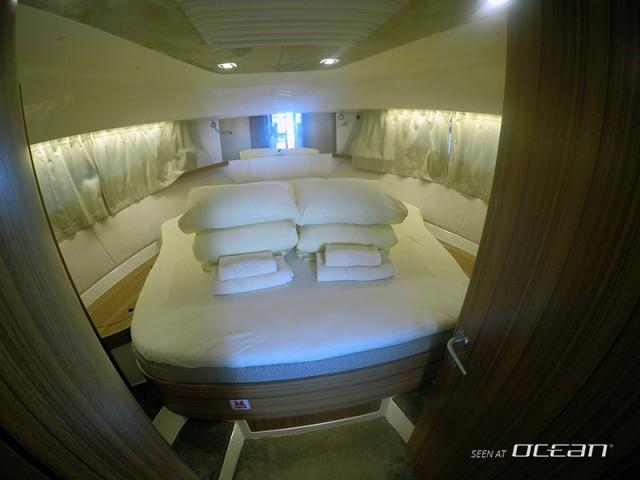 In a few seconds, the curtain closes the cockpit entirely still allowing sea views and comfortable seating/lounging during any weather and time of the year.